We live in a great time to be outdoor enthusiasts, it has never been more popular to be a nature lover. Whether you go for walks after work on a local greenway or have summited Everest, there are tons upon tons of outdoor companies vigorously spending advertisement dollars trying to get you to buy their products. Sifting through this plethora of information and trying to figure out what is advertising fluff and what is actually bomb proof gear can be challenging to say the least. My personal gear is a hodge podge of name brand and bargain basement, I freely admit that I love finding deals but I am also willing to spend the bucks if a product is clearly superior. One area of the outdoor world that I honestly see no reason to spend much money, is on your cookset. 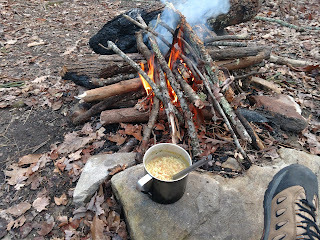 Growing up in the rural appalachians most cooking was done with cast iron and lard, you would think that this did not translate very well to the backcountry, I guess you would have to say yes and no. No because of the weight, yes because of the suppers of fried fish, potatoes and hushpuppies. 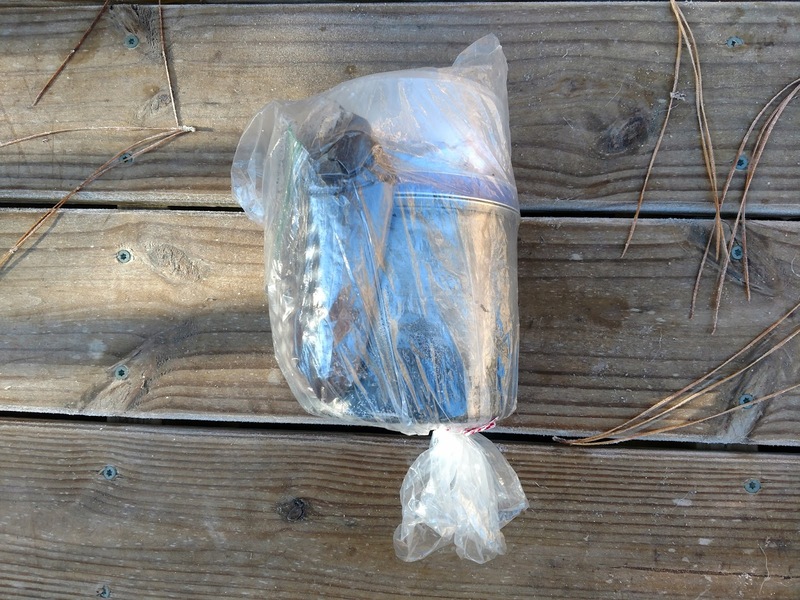 In a past article I have talked about how a lot of backcountry fishermen from my grandfather's era had a stash hidden in the backcountry. A large portion of this stash would be cook gear, my grandfather had a two burner coleman stove, fuel, cooking oil and a frying pan well hidden on his favorite stream. When you went on a trip all you needed to carry was the food for that trip and maybe some fuel or cooking oil if you knew you were running low in the stash. 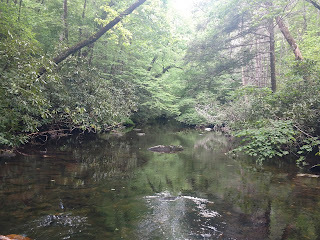 The usual food for a trip was much different than what I carry today, we usually carried cornmeal to coat the fish with before frying and to make hushpuppies, light bread, whole potatoes and onions, spam, potted meat or the like, eggs, and of course Little Debbie oatmeal creme pies. I know, it is a wonder we lived past the age of 25. Fast forward 40 years and things are much different today. 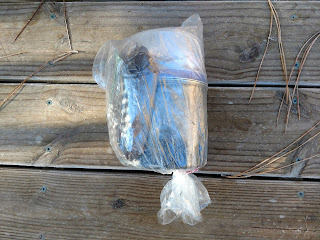 There are materials and techniques today that my grandparents never dreamed of, titanium, freeze drying, canister stoves, Wal Mart, the list goes on and on, as I said it is a great time to be an outdoor enthusiast. When I go backpacking today I don't have anything stashed so I have to carry everything in with me and everything back out, needless to say a two burner coleman stove and a heavy frying pan are not on the packing list. 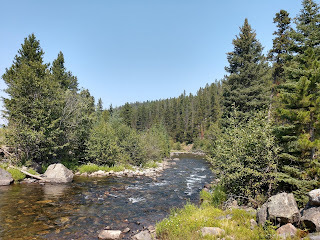 I also very rarely cook fish in the backcountry, honestly it is too much trouble, and sacrilege as it is, trout are not my favorite fish to eat. So for the most part I do very little "cooking" in the woods, and with today's food choices you don't need to. Here is my entire system as it is carried in my pack for a total weight of 512.56 grams, which is just a little over 1 pound. Inside I have, from left to right top row: Bag it is all carried in, cook pot, lid, homemade windscreen and base. 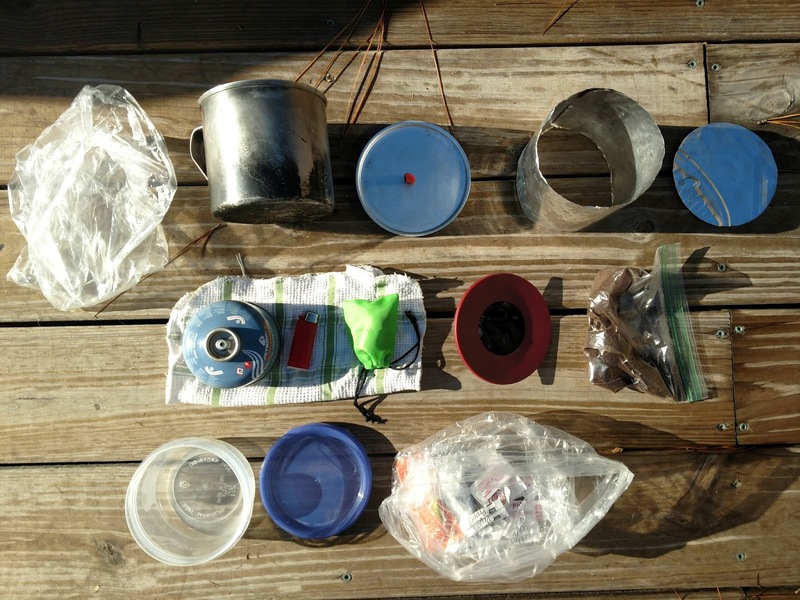 Middle row: Sitting on the dishrag I wrap them in, fuel canister, mini bic, and stove. Just to the right of that is a pour through coffee maker and small bag of coffee. Bottom row: tupperware bowl with lid and a small bag of salt, pepper and packets of condiments I carry inside the bowl. My cook pot is a Wal Mart Imusa 12 cm aluminum cup, with a lid from Batchstovez, the cup is $8.39 and the lid was about $10 after shipping. My stove is a BRS canister stove from Amazon that cost a whopping $13.70. The combined weight of the cook pot, lid and stove is 158 grams or 5.5 ounces. That is pretty doggone good for spending a little over $30 total! 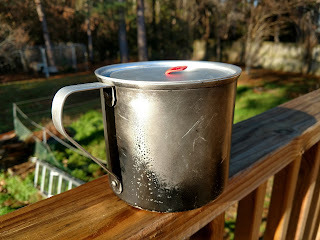 I realize that there is some controversy about using aluminum cooking vessels and if that is a concern to you then this will not be your best option. Also I know there are lighter options, there are companies galore making uber light titanium pots and lids that would love to sell you one, not for under $10 though. The tupperware bowl is not entirely necessary but it is nice to drink my coffee from, it doesn't burn my lips like my aluminum pot does. It is also a nice food bowl for grits and oatmeal, I am willing to carry the few grams it weighs for comfort and convenience. I could carry instant coffee as well and cut out the coffee maker, no thanks, I will carry the extra weight. Your kit is personal and you have to decide what you are willing to carry and what you are willing to pay to shave grams. It’s been about 25 years now, but I will never forget bringing out a Zip Stove on a hiking trip with my dad. He got a big kick out of its size, and the fuel you use with a Zip Stove is tiny sticks or you can carry a few brickettes of charcoal. In about 5 minutes, we had hot instant soup. Daddy was never one to argue with success! Those zip stoves are fantastic. I have an emberlit that I use on occasion but since I mostly just boil water the canister stoves usually gets the nod.